You'll gasp in shock at some of these app prices! 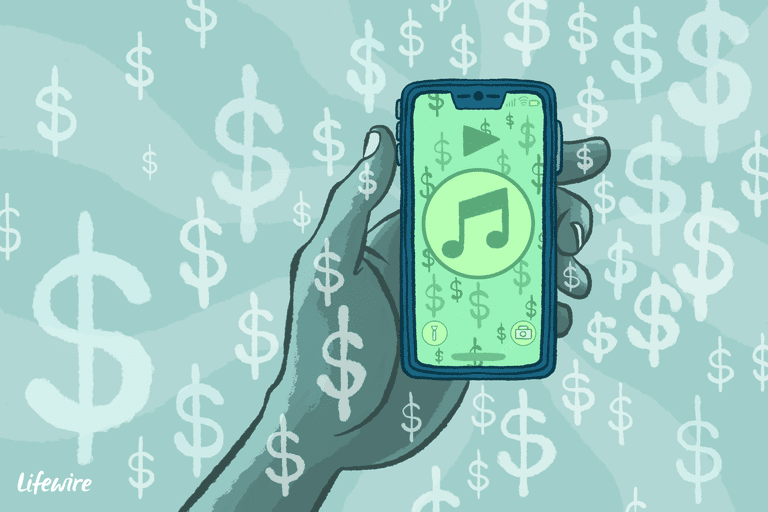 Many people aren't willing to spend more than a buck or two on a premium iOS app—but believe it or not, some of the most expensive apps that have ever been released have cost hundreds to over $1,000. While several expensive apps have either been abandoned or taken offline over the years, you can still find many available at their staggering prices if you look hard enough. Here are 10 of the most expensive apps that you can currently buy from the iTunes App Store. VIP Black is a premium app geared toward millionaires (and perhaps even billionaires) who want to discover and enjoy the most luxurious events and services around them. Similar to how you might use a regular location-based app like Yelp or Foursquare, YIP Black uses your location to find the highest quality art/literature, bars, clubs, butlers, cars, cinemas, events and experiences near you. Through partnerships with participating venues, members receive special VIP treatment at their event or venue of choice, including things like complimentary upgrades, gifts, priority access, welcome packages and more. Concierge teams are also available so that anything and everything can be outsourced—from getting the dry cleaning done, to booking a private jet. The app claims to update its partners and partner privileges regularly, however it hasn't seen an update since May of 2017. Despite remaining online in the App Store, it's unclear if the VIP Black app has been abandoned. CyberTuner is a professional piano tuning app that will cost you more than what many average to good electronic keyboards cost. This app has been in development for years, including one year of vigorous testing by music experts around the world. Designed for professional tuners who already know the basics and own their own equipment, the CyberTuner app combines functions programmed by a Registered Piano Technician with an intuitive layout. Technicians have the freedom and flexibility to use the app to tune pianos exactly the way they want with incredible accuracy. The CyberTuner app is updated regularly for the latest iOS versions and newest devices along with both new and enhanced features added to it every so often. As if the price didn't shock you enough already, users of the app will need to pay another $79.99 every year for CyberCare to get the upgrades. app.Cash claims to be a "stylish cashier system for all purposes." The app is designed to replace the traditional cash register to create sales transactions and receive payments. It even works offline. Although the app can be used by practically any business that needs to collect customer data and take payments, it appears to be specifically tailored for restaurants so that servers can conveniently use a mobile device directly at customers' tables. Menu buttons are available, categorized by food and beverage type, so that servers can input customers' orders directly into the app. A graphic representation of the tables can also be created and viewed to keep tracking of table numbers and their orders. The app supports two printer models and must be updated by contacting the developer directly. It's one of the most expensive apps in the App Store at nearly $1,000, however it claims to be cheaper than a traditional cash register system, making it perhaps an attractive option for some businesses. DDS GP Yes! is a feature-packed iPad app created for dentists. Its main use is for helping patients gain a better visual understanding of certain dental conditions and treatments. The app comes with 200 unique demonstrations and 37 different audio tracks geared toward dentists so that they can learn how to make the best use of the presentation-like app while in the company of a patient. It's really just an advanced tool that helps bridge the gap between the knowledgeable dentist and the uninformed patient so communication runs smoothly and the dentist has a higher chance of convincing the patient to make the best decisions for their oral health. During the presentation, the audio plays while the corresponding visual effects are displayed (along with other active functions like the slider, drawing, treatment planning, etc.). The app, however, has not been updated since September of 2016, making it questionable to run on the most up-to-date iOS versions and devices. TC with WordPower is a powerful assisted technology and communication tool designed for people who aren't always able to say what they want using their natural voice, including those with autism, down syndrome, ALS, and other conditions. The app comes bundled with a series of vocabularies built to make communication easy and intuitive. The app is available both in English and Spanish. Words, phrases, and complete messages can be played via the built-in voice synthesizer or by prerecorded message. Users can also tilt their devices slightly to trigger the app to display the message in large letters across the screen, making it convenient for them to communicate more easily in loud environments. One of the biggest perks of using this app is that it's fully customizable to the user, offering them the ability to rearrange and copy buttons however they want or create new page sets using up to 30 different button actions and over 10,000 symbols. TC with WordPower also integrates with social apps like Facebook, Twitter, Google+ and iMessage to help users easily share text-based messages that they've generated.